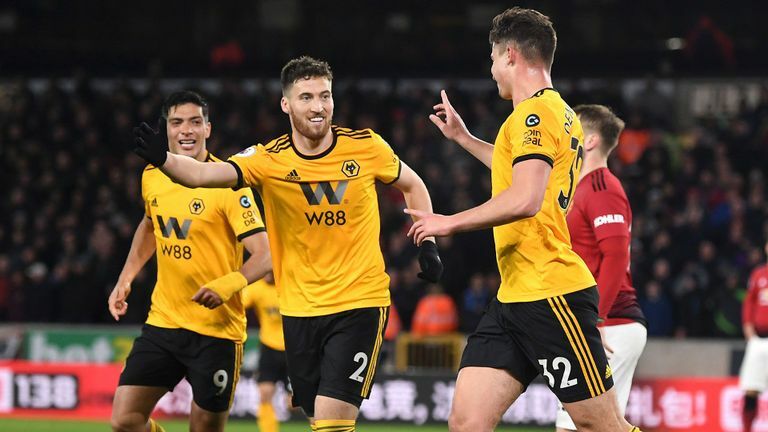 Wolves dented Manchester United's hopes of a top four finish as a Chris Smalling own-goal gave them a 2-1 victory after Ashley Young was dismissed for two yellow cards. Ole Gunnar Solskjaer's side took an early lead through Scott McTominay (13) but Diogo Jota equalised (25) in an entertaining clash at Molineux. With the game finely balanced Young picked up a second booking for a rash challenge on Jota (56), which was referee Mike Dean's 100th red card in the Premier League. United remain in fifth place, one point off a Champions League spot, but have now played a game more than Arsenal, Tottenham and Chelsea.